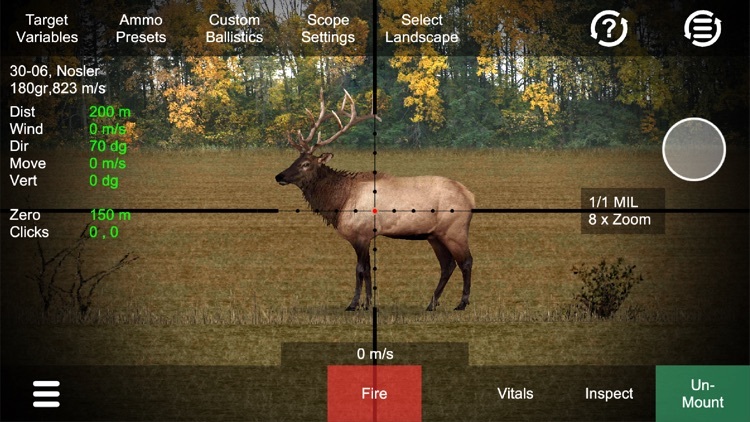 Hunting Simulator is a technical and realistic visual ballistic app for hunters, it is not a game. 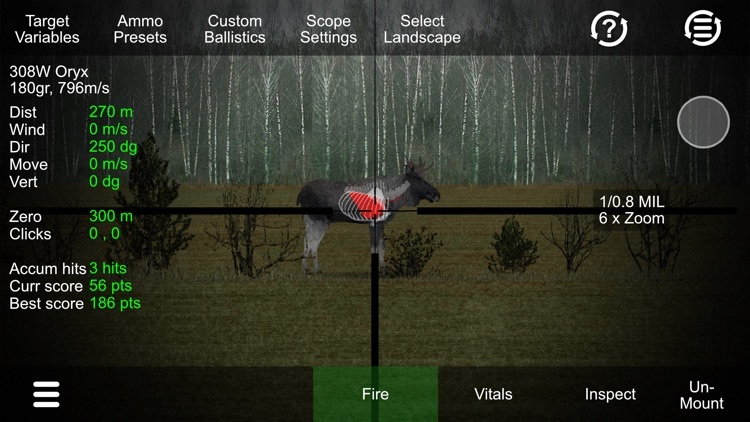 This is an easy to use visual 3D ballistic tool for practicing very realistic hunting situations up to 1000m. 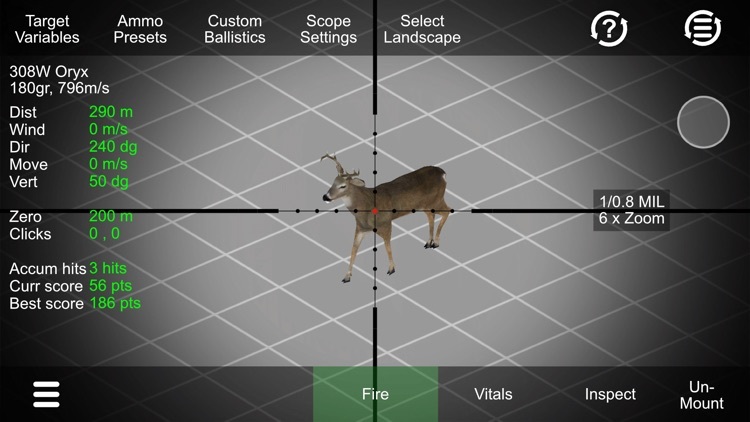 Practice deer hunting or other game types using realistic adjustable rifle scope, accurate ballistics and lots of environment variables such as distance, wind, movement, direction, vertical angle and amount of daylight. After a shot you can inspect and analyse your hit. 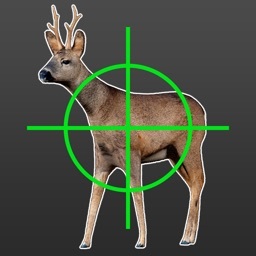 Practice hunting whitetail deer, roe deer, moose, wild boar, red deer and fox. 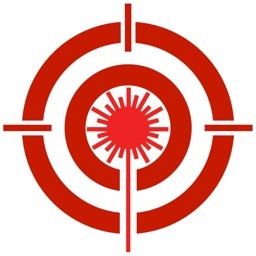 -Adjustable accurate reticle (Combined german no4 and mildot using most common MOA and mDot clicks). 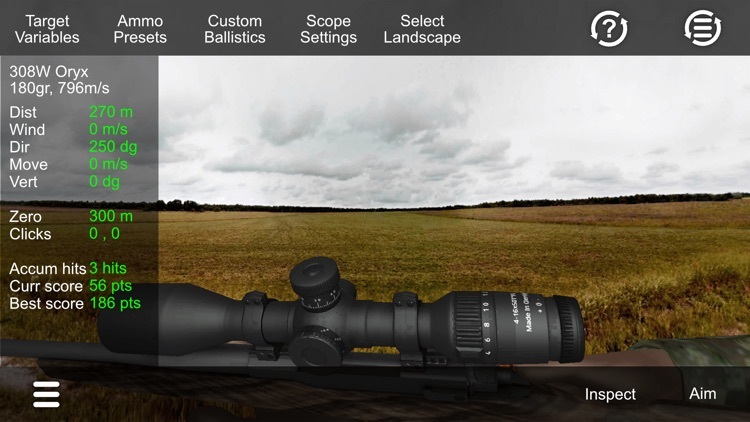 -Scope zoom with first/second focal plane. -50-1000m range in realistic enviroment. -Select between various calibers 22-250, 223Rem, 6.5-55, 270W, 308Win, 30-06 and 300win mag. -Variable Wind, Distance, Animal heading and walk speed. -Hunt mode using dynamic random of wind and animal movement. 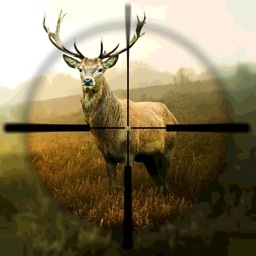 -Hunt mode score accumulates points of your last 10 shots. 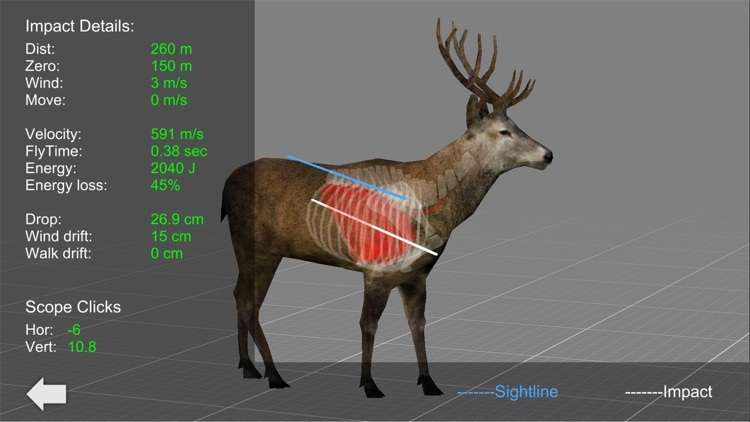 -3D impact data on various animals.